Established in 2002, The Gumboots Foundation is a registered UK charity and non-profit organisation in South Africa. Kidlinks World is our sister organisation in the USA. The mission of the Gumboots Foundation is to address poverty and AIDS related issues in South Africa by improving education, nutrition, empowerment and well-being. 1. To empower children through education, both formal and informal, whilst also ensuring that their basic needs are met by providing food, shelter, healthcare and recreation. 2. To strengthen and support local home grown projects with local leadership and to secure a sustainable long term solution. 3. To help strengthen local communities both through financial assistance and by fostering a mutual understanding. 4. To provide individuals and organizations with an opportunity to be directly involved financially and personally in community development projects. 5. To provide honest and informative feedback on the progress of the projects and transparency on the use of donor money. 6. To seek partnership rather than dependency, with the focus being to uplift all involved through building relationships between donors, Gumboots and beneficiaries. Angela was born and grew up in South Africa. She came to live in the United Kingdom in the early 1970’s where she trained as a teacher. 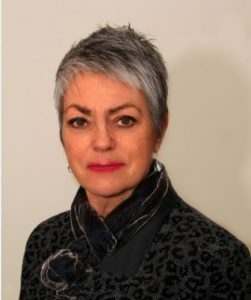 Aside from short periods in Germany and London, she has spent most of her working life in the racially and culturally diverse inner-city areas of Birmingham. Employed by a variety of charitable organisations and Birmingham City Council, her roles have included the management of an Afro-caribbean dance company, creative work with children and young people and the management of a range of City council youth, community and recreation services. The last 10 years of her employment were spent with Optima Housing Association, a social housing charity, managing a wide ranging social and economic regeneration programme. Angela retired in 2012 she lives in Birmingham but has retained a keen interest and close ties with the country of her birth. She visits South Africa regularly both to see her family and the projects supported by the Gumboots Foundation. She has been a Gumboots trustee since 2008. 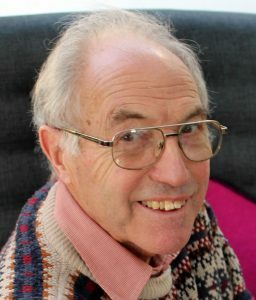 Graham has been a Gumboots trustee since March 2011 and acts as Treasurer. He has visited and travelled quite widely around South Africa many times and sponsored a child’s education at the united Church School. He retired at 72 after working in manufacturing and has experience as Purchasing Manager, Production Control Manager and Systems Implementer. He has been involved in helping to run the local sailing club as a trustee for 27 years and Commodore for 3 years and member of the Management Committee for 40 years and is currently Security Officer. He was a school governor of a local junior school for 8 years. David has been a fund raising supporter since the formation of Gumboots UK. He grew up in Johannesburg but settled in London in the 70’s where he worked for many years as a self-employed furniture maker & joiner. He has been running a small London based design & build company for the past 25 years. He makes regular return visits to South Africa & is closely connected to people on the ground directly involved with the projects. Karen brings experience gained in community development, the legal sector and running her own business. Originally trained as a teacher, she went on to manage projects in some of the most deprived inner-city communities in Birmingham. For the last 25 years of working life Karen worked for law firms specialising in human rights law and work for the third sector. 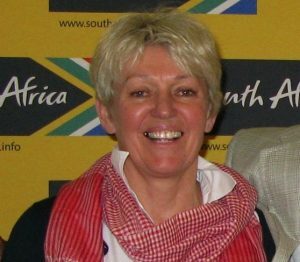 Since retiring in 2013 Karen has more time to devote to the charity’s business, including trips to South Africa and visits to our partner projects. In the rest of her time she is an enthusiastic amateur ceramicist, sometimes selling pottery and donating the proceeds to the charity. Margz was born and grew up in South Africa. She came to England in 1977 but has maintained close links with South Africa and its people and travels there at least annually where she always visits Gumboots projects. She worked for many years for Housing Associations and Local Authorities and was also active in working to combat homelessness, find temporary accommodation for asylum seekers and in helping young vulnerable people and families. Prior to that she worked for a youth charity and at a nursery school. Her daughter Caitlin died in 2009 and since then she has worked with Gumboots to establish, fund-raise and manage The Caitlin Fund. This project provides funding to help young women and girls achieve their educational goals in school and at University. Margz is now retired and, prior to her appointment as a trustee, acted for many years as a volunteer for Gumboots. Mark has spent the past 25 years building international consumer branded businesses. 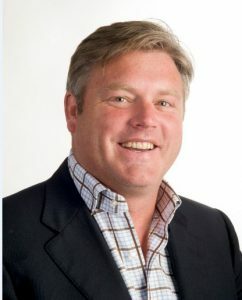 Following a graduate programme at Spillers Foods Mark joined SC Johnson where over 15 years living and working in every continent he pioneered early growth in Russia, China and India, ran the US consumer business and was Managing Director for Africa, UK and ANZ. Now back in the UK Mark was Youngs seafood CEO before building Gu puds over the last 4 years as CEO into the Europe’s No.1 premium chilled dessert brand with a presence in more than 11 markets. Mark also holds several Non Executive Director roles including a Graphite Capital portfolio business – Standard Brands and Deputy Chair of Frimley Health Foundation Trust.